The team lead by Dr Mariano Esteban, a researcher at the Spanish National Research Council‘s Biotechnology National Centre, has been working on this method since 1999. They are using an attenuated virus called the MVA-B, a variation of the Modified Ankara Vaccinia, which was previously used to eradicate smallpox. The Modified Ankara Vaccinia also forms the base of other vaccines. The B refers to the HIV-B, the most common HIV subtype in Europe. Dr Esteban’s team inserted the HIV genes Gag, Pol, Nef and Env in MVA’s genetic sequence. In 2008, they tried the resulting HIV nuke on mice and monkeys. It was a complete success. The first human test results were published in Vaccine and Journal of Virology. In the experiment, scientists injected the vaccine in 24 of 30 HIV-free volunteers. Six volunteers were treated with a placebo vaccine—they didn’t experience any effect. But 90% of the treated subjects developed a very strong immunological response against the HIV virus. 85% kept the immunological reaction for at least one year, which is really good news. According to their results, there were no significant secondary effects in any of the patients, which was one of the major objectives of to be tested in this clinical trial. “The treatment has only been tested on 30 volunteers and, while the vaccine provokes a powerful response in most of the cases, it’s still to soon if the resulting defense would be effective against an actual HIV infection”. The team will now start another phase I trial, injecting the vaccine in HIV-infected people. The objective of this trial is to test the therapeutical effect of the vaccine in these patients. 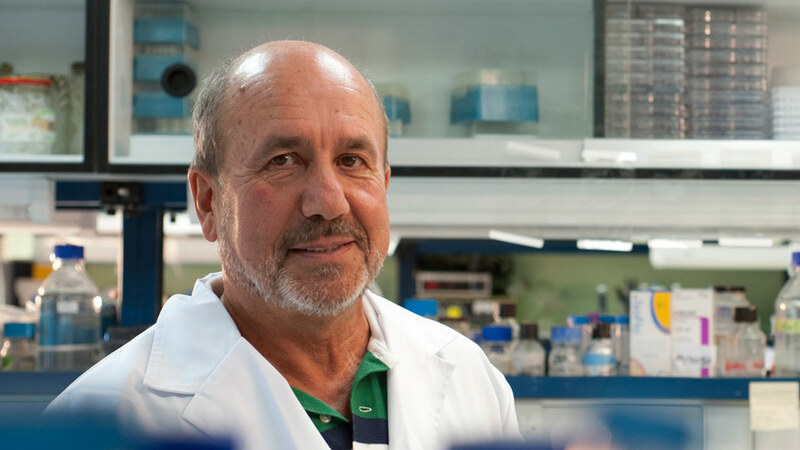 According to Dr Esteban, “in principle, the immunological profile of MVA-B satisfies the requirements for a promising vaccine against the HIV, like the creation of antibodies and the activation of key cells in the defense against the virus.” Sadly, it is still far away from commercialization: they need to test this on phase II and III trials, injecting vaccinated volunteers with the actual HIV virus on a larger scale. Hopefully, one day, this vaccine will nail the HIV nemesis down. Linkage to facility-based HIV care from a mobile testing unit is feasible, South African researchers report in the advance online edition of the Journal of Acquired Immune Deficiency Syndromes. In a stratified random sample of 192 newly diagnosed individuals who had received CD4 test results, linkage to care was best among those who were ART eligible, Darshini Govindasamy and colleagues found. The lower the CD4 cell count the greater the linkage to care: all of those with CD4 counts at or under 200 cells/mm3, two-thirds of those with CD4 counts of 201-350 cells/mm3 and a third of those with CD4 counts over 350 cells/mm3 linked to care. An estimated two million people died as a result of HIV/AIDS in sub-Saharan Africa in 2008. South Africa now has the largest ART programme in the world, yet half of those in need of treatment do not get it. And a large number of those who do present for care, present late with low CD4 cell counts increasing their risk of early death. In South Africa traditional HIV counselling and testing (HCT) sites at stationary facilities have increased and consequently so have the numbers tested. Yet this has not resulted in increased numbers on treatment and in care. Transport costs, being male and having a low CD4 cell count have been well documented as the primary barriers of non-linkage to care. Successful early diagnosis of HIV has to be accompanied by strategies that assure timely linkage to care and treatment so improving health outcomes. Mobile testing units offer several advantages: people are often tested at an earlier stage of HIV; it is easier for hard-to-reach and high-risk populations to test; and they are cost-effective. However, maintaining on-going HIV care may prove difficult, requiring referral to stationery facilities. The authors note no studies have looked at the performance of mobile testing units in linking people diagnosed with HIV to care at public health facilities. The authors chose to look at whether disease progression as defined by CD4 cell count had an effect on access to care and the associated barriers in a nurse-run, counsellor-supported mobile testing unit. 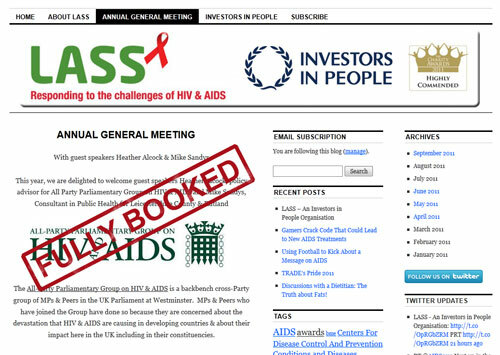 From August 2008 until December 2009 those diagnosed for the first time with HIV were identified retrospectively from the mobile unit records. Those who got a CD4 cell count were prospectively followed from April to June 2010 to determine linkage to HIV care. The unit, in the Cape Metropolitan region, Western Cape, South Africa, provides free HCT services to underserved communities. Along with free client-initiated HCT free screening for other chronic conditions including high blood pressure, diabetes and obesity as well as TB is offered. The population is predominantly black Xhosa-speaking Africans. Following rapid testing and a positive result and CD4 testing individuals are given detailed referral letters to help their access to care. Individuals are called when results of CD4 counts are available (within 72 hours). Those with no contact number are followed up by home visit or letter. Counselling is provided and patients are encouraged to go to clinics for either pre-ART care or to start ART as appropriate. Of the 6738 records, overall prevalence of new diagnosis was 6.9% (463), of which 376 met the study’s inclusion criteria. Because of a higher proportion of patients with CD4 counts at or above 350 cells/mm3 the authors took one-third of patients from this cohort (76), together with all 36 individuals with CD4 cell counts at or below 200 cells/mm3, and the 80 patients with CD4 counts between 201 and 350 cells/mm3. Of the sample 27% (43) did not get their CD4 test result. Being female, having a CD4 cell count at or under 350 cells/mm3 and having a cellphone improved the likelihood of getting a CD4 count result. These results echo recent studies in South Africa showing a high loss to follow-up prior to receiving a CD4 test result; highlighting the critical need for point of care CD4 testing in both mobile and stationary facilities. Of the 145 (73%) remaining individuals 10 refused to participate and 56 could not be traced in spite of previously having been contacted and receiving their CD4 counts. 52.5% (49) linked to care, including 100% of those ART-eligible. While the sample size is small, note the authors, the results are considerably higher than in studies of stationary facilities, where rates of post-diagnosis linkage to care varied from 30% to 80% among the ART-eligible. Over 70% said that the mobile unit’s referral letter helped them access care at a public health facility. Nonetheless over 30% of those eligible to start ART still had not started two months after their diagnosis but were still in the ART screening process. These results support other studies in sub-Saharan Africa also showing a delay in starting ART after diagnosis. Having a higher CD4 count, no TB symptoms, not having disclosed and being employed increased the risks of not accessing care. Not being able to access public health facilities was the most common barrier reported (41%) to linking to care. Other barriers included: 13% worried about ART toxicity and side effects and 9% fearing stigma and disclosure. Extending hours and opening on the weekends at public facilities and setting up workplace programmes with mobile units could improve linkage to care for the employed, note the authors. Limitations include the small sample size; the inability to track over 40% of eligible study participants in spite of persistent follow-up so potentially biasing the findings; and incorrect contact information. The study was undertaken 6-18 months after HIV diagnosis makingfollow-up especially challenging. Strengths include validation of self-reported linkage to HIV care; trained bilingual counsellors assured minimal respondent bias; no incentives were given for participation. The authors note HIV services at the mobile unit and public health facilities were free so their findings can be generalised to similar settings. The authors conclude that while linkage to care was best among those ART-eligible, there is an urgent need to design interventions to improve linkage to care for the employed. HIV positive patients still have to deal with the stigma associated with the disease. This is the view of Catherine Murphy, head of parliamentary and public affairs at the Terrence Higgins Trust. Ms Murphy believes that the stigma is particularly acute in the healthcare sector. She said an assortment of research has been conducted and results show HIV patients still experience discrimination by healthcare workers. “We do know that still happens quite regularly and that people have poor experiences in the NHS, in primary care,” Ms Murphy commented. She cited the example of dentists telling HIV sufferers that their appointment needs to be the final one of the day so equipment can be sterilised, as well as some dentists rejecting them altogether. According to Ms Murphy, this is a very outdated attitude and people should expect healthcare professionals to know better. The Terrence Higgins Trust estimated 86,500 people who had HIV were living in the UK in 2009, a 4.2 per cent rise on the previous year.